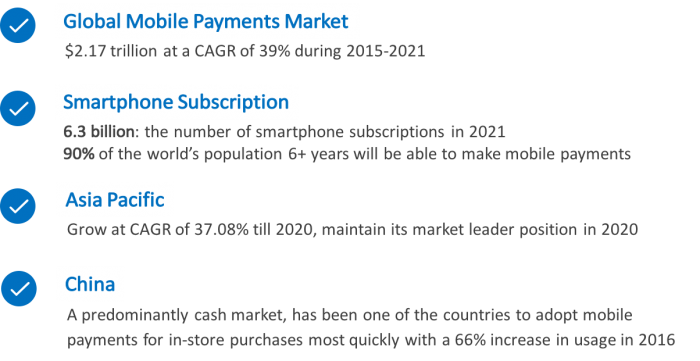 How Chinese mobile payments is going global ? The mobile payment space has become fiercely competitive, with both market leader Alibaba and messaging giant WeChat scrambling for valuable market share. However, what was once a strictly domestic affair has expanded abroad, with China’s mobile payment providers now battling for Chinese tourists’ mobile payments on the global stage. For overseas destinations, hotels, retailers, restaurants, and tourist attractions, this makes the Chinese payment landscape a lot more complicated than it used to be. Until recently, accepting payments through the Chinese government-backed UnionPay interbank network used to be the gold standard for payments made by Chinese tourists. Indeed, updating the points of sale terminal (POS) to accept UnionPay and slapping a UnionPay sticker on the front door was all that was needed to reach the forefront of Chinese payment implementation. Which hardware to support Chinese mobile payments global expansion ? The good news is that, given the fierce competition between WeChat Pay (Tencent) and Alipay (Ant Financial Alibaba Group ), Chinese mobile payment providers are now doing their best to rapidly expand overseas by implementing a wide range of local partnerships. 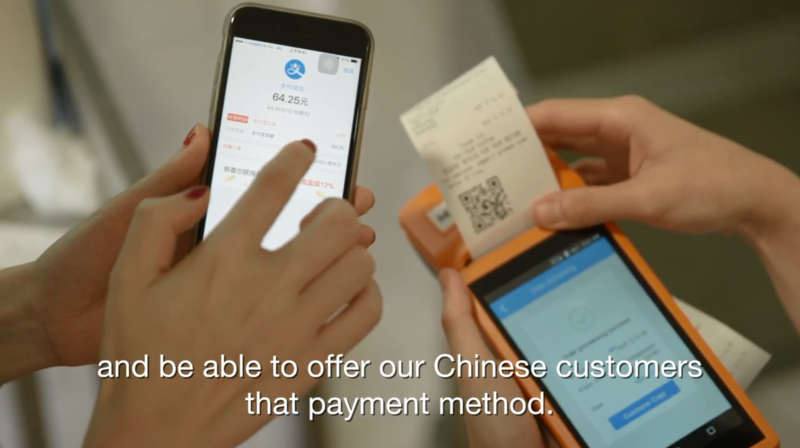 As partner of Wechat Pay and Alipay, Sunmi plays a key role in the business expansion. First Data (NYSE: FDC), a global leader in commerce-enabling technology, and Alipay, one of the world’s leading online payment platforms, today announced that North American businesses will be able to accept the mobile payment service and expand Alipay’s already significant business base. First Data will implement Alipay at the point-of-sale for its four million U.S. business clients. 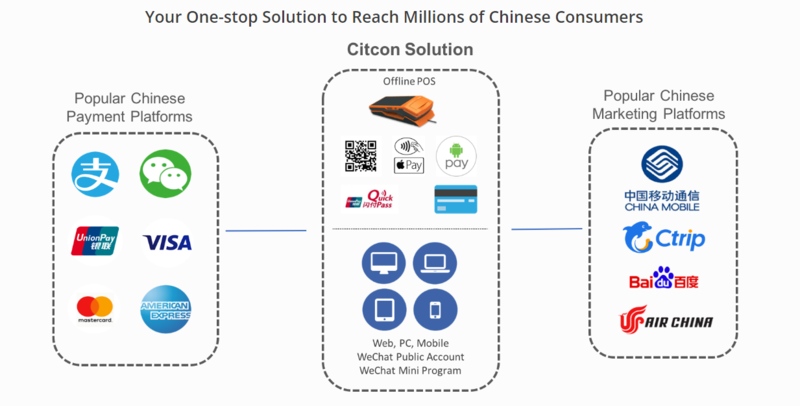 Citcon, an integrated mobile payment and marketing platform to connect global merchants with Chinese travelers, announces partnership with WeChat, China’s leading mobile social communications service with 846 million active users run by Tencent Holdings. As the first payment partner of WeChat in North America, Citcon will enable millions of businesses to accept WeChat Pay, one of China’s most popular mobile payment methods. 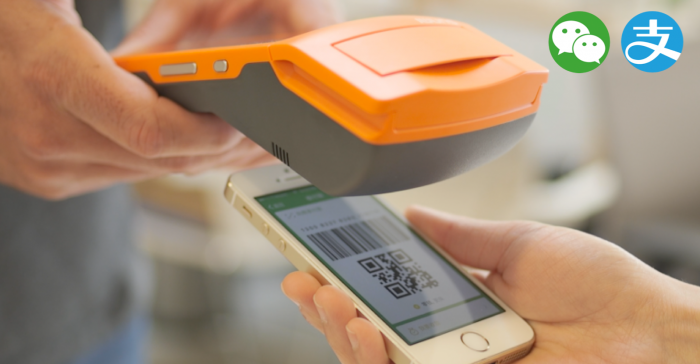 Now merchants will be able to accept WeChat Pay via Citcon’s smart mobile point-of-sale (Sunmi V1), easy-to-integrate API and software products and optimize growth both online and offline, with an easy and affordable rate compared to credit card processing. Online payment systems are now simple and secure for e-transactions with advanced payment gateways. You can make use of debit or credit cards & net banking for safe money transaction, e-payments, and online shopping. 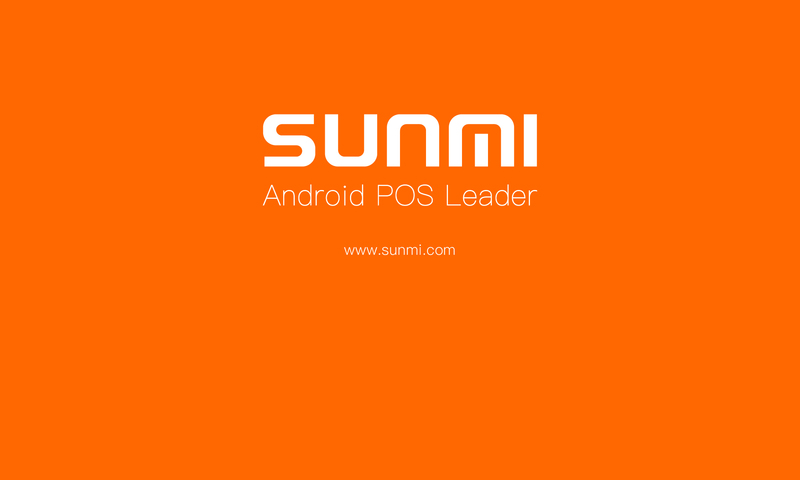 Next PostNext SaaS trends, Sunmi plays KEY role again.